The story of a New York socialite who became known as 'the world's worst singer'. The film conveys the appeal of music in an explicit manner lacking in most biopics of genuinely talented performers. In many ways it could be considered a musical companion to Tim Burton's Ed Wood, as both movies are celebrations of talentless yet undoubtedly passionate figures. Over the past year or so we've witnessed Meryl Streep exercise not only her much lauded acting chops, but also her vocal range, belting out tunes as a witch in the screen adaptation of the hit musical Into the Woods and as an aging rocker in Jonathan Demme's Ricki and the Flash. 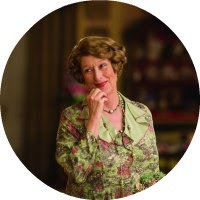 Now she's giving an altogether different vocal performance in the title role of Florence Foster Jenkins, a New York socialite whose passion for music wasn't remotely matched by her singing talents, yet managed to cut several records and play to a sell out crowd at Carnegie Hall. With no public money available to fund the arts during World War II, New York's famous music scene is kept afloat by the charity of wealthy, benevolent socialites like Jenkins, whose inheritance keeps such greats as Toscanini on the stage. 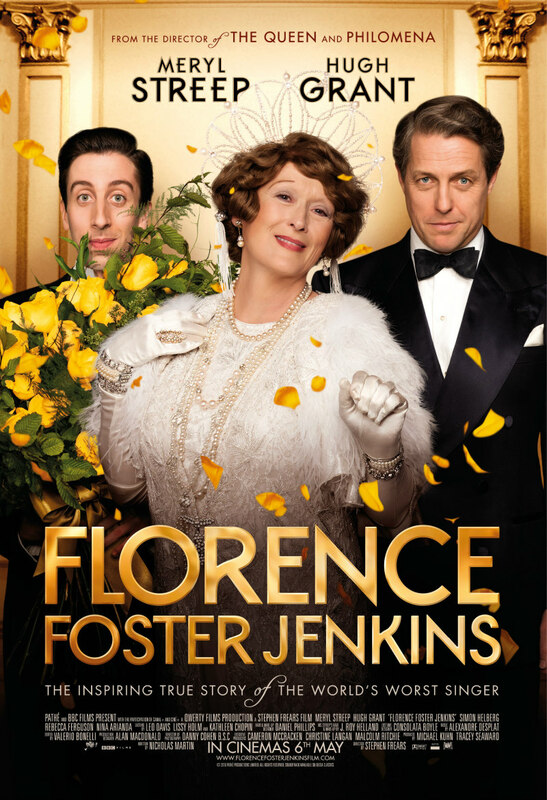 A lifelong lover of all things musical, Jenkins decides it's time to make her own return to the stage, and with the aid of her younger husband, British dandy St Clair Bayfield (Hugh Grant), she begins a venture that will end with one of Carnegie Hall's most notorious performances. The problem however is that Jenkins doesn't possess a note in her head, a detail St Clair spends his time making sure is overlooked, paying off New York's music critics to write rave reviews of the private performances she gives in her plush Manhattan apartment. As Jenkins' fame grows, St Clair finds himself facing an uphill task in protecting the woman he cheats on with a younger lover (Rebecca Ferguson) - due partly to Jenkins' 50 year battle with syphilis - yet is full of affection for. It may be set in 1944, but Stephen Frears' film is surprisingly relevant to contemporary fanboy culture. Jenkins' audiences applaud her because they've been led to believe they should, but also because they've spent good money and don't want to be seen as having been taken for a ride, as set in their ways as the superhero movie fans who visit the cinema but twice a year yet take great delight in telling film critics they know nothing of the medium. It would have been easy to approach Jenkins' story with a mocking tone, but Frears' direction and Nicholas Martin's script ensure we're laughing with Jenkins more often than at her. The audience surrogate comes in the form of a talented pianist (an excellent Simon Helberg) hired to accompany Jenkins. At first he's completely bemused by his employer, though quite content to accept her generous wage, but gradually begins to realise she still possesses the sort of heartfelt, innocent love of music he may have lost himself. A scene in which the two duet on a Chopin piece might be the best evocation of the bonding spirit of music since Francoise Cluzet crouched in the rain outside a Parisian jazz club to catch Dexter Gordon's performance in 1986's Round Midnight. The film conveys the appeal of music in an explicit manner lacking in most biopics of genuinely talented performers. In many ways it could be considered a musical companion to Tim Burton's Ed Wood, as both movies are celebrations of talentless yet undoubtedly passionate figures. When Hugh Grant's St Clair makes a speech about how he became content with accepting he would never be a great actor and focussed instead on being a good actor, it feels autobiographical on the part of Grant, who spent much of the early part of his career in roles completely wrong for him, but here gives what might be his finest performance to date. Perhaps it also speaks of director Frears; he's a filmmaker few would consider an auteur, but there aren't many safer pairs of hands you would want wielding the megaphone on your production. 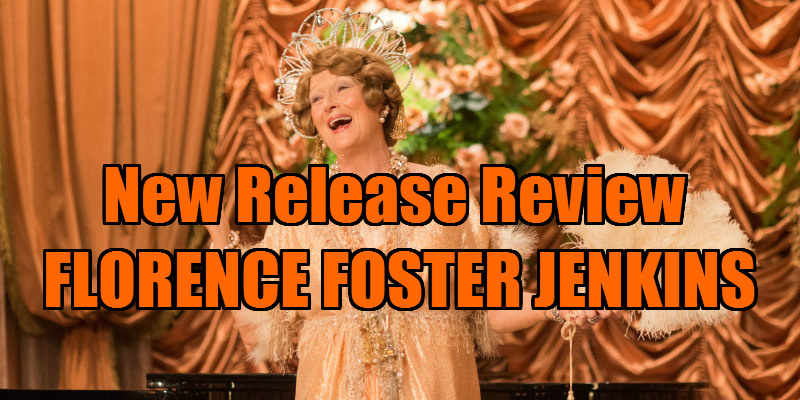 As Florence Foster Jenkins shows, raw talent escapes most of us, but everyone deserves the opportunity to give their best shot in a field they love.